Did Emma's Quince a week after the Cinderella shot. It was a great Quince with a very entertaining Mariachi group that played for most of the day, even at the church ceremony. We took this shot after the ceremony and before the party, on the church grounds. 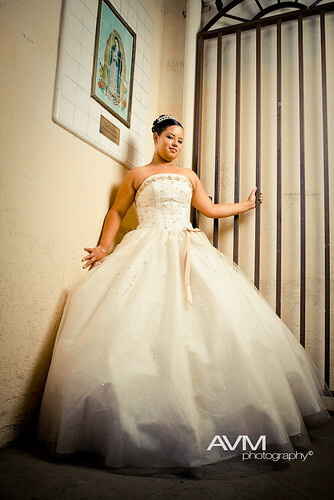 I tried to keep from doing a cliche Quince shot but I loved this little corner and couldn't resist.